Beveled edges for safe transition from anti-fatigue mat to floor. 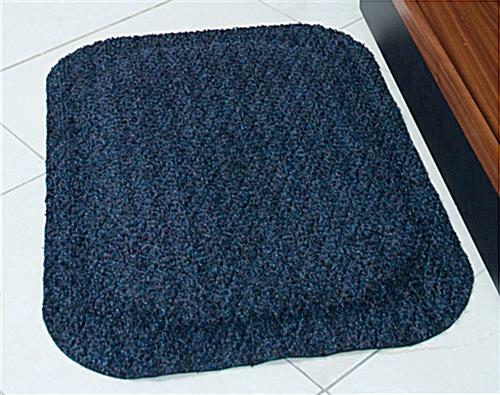 Durable rubber mat will not degrade even over heavy use. Anti-static top perfect for use around electronic devices. 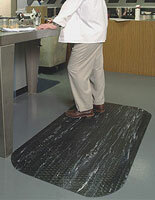 A rubber mat, anti-fatigue mat is perfect for promoting employee morale while lessening leg and back pain. These mats are normally used in any location where your employees mostly stand while they work. 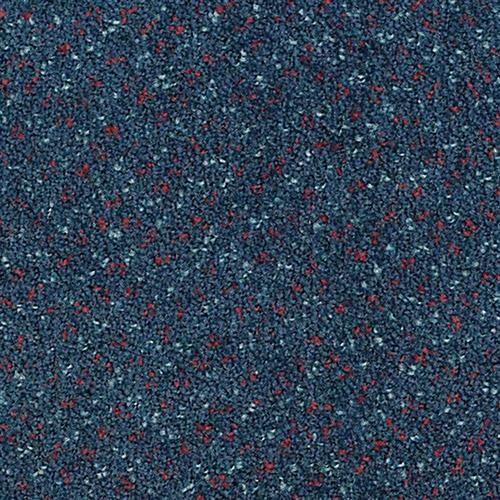 This anti-fatigue mat features navy spice nylon carpet top to fit in with virtually any décor. This carpet resists pilling and crushing and filters dirt and moisture through the carpet so it is not tracked in. 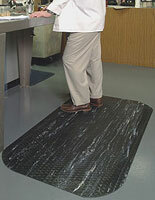 For safety, an anti-fatigue mat has beveled sides to provide an easier transition from mat to floor. 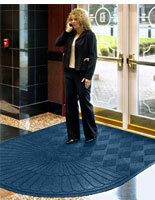 A floor mat, anti-fatigue mat can be found in factories, banks, casinos and even retail settings. This anti fatigue mat, also known as a floor mat and a rubber mat, has a nitrile rubber/PVC cushion for the ultimate in workplace comfort. The PVC cushion is permanently bonded to the rubber to not delaminate over time like mats that are glued. The anti-fatigue mat is anti-static for use around electronic devices. 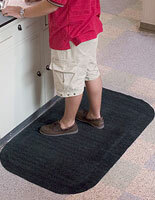 This anti-fatigue mat has been certified slip resistant by the National Floor Safety institute. This anti-fatigue mat will allow workers to work in more comfort, effectively increasing their productivity!